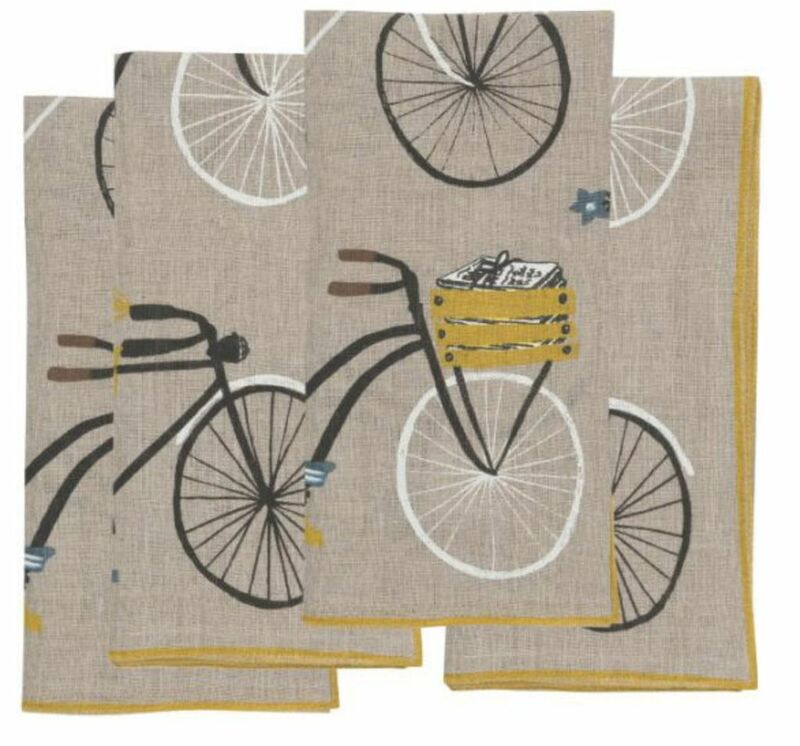 Impress your guests with these 100% linen napkins at your next dinner party. 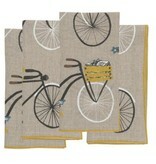 Set of 4 napkins with a light brown linen background highlighted with a whimsical bicycle design. Bike pattern is black and white with touches of blue, along with yellow/gold accents and trim. Each napkin measures 20" x 20".